Hungarian communal worker; flourished in Szegedin during the latter part of the eighteenth and the beginning of the nineteenth century. He was president of the Jewish community there from 1793 to 1809, and presented the congregation with the site for its first synagogue, and with silver holy vessels for its ḥebra ḳaddisha. His son Cosman (b. Veprovac 1788; d. at Györ-Sziget Aug. 18, 1831) studied Talmudics under SamuelC. Brody and Lebusch Ḥarif in Szegedin, under R. Moses Sofer in Mattersdorf, and under R. Moses Minz in Alt-Ofen. In Györ-Sziget, where he settled after his marriage, he maintained a yeshibah of his own, which was usually frequented by forty to fifty pupils; and he enjoyed a high reputation as a Talmudist. His writings, left in manuscript, were published by his son Arnold (born in Raab 1817) under the editorship of Prof. W. Bacher. 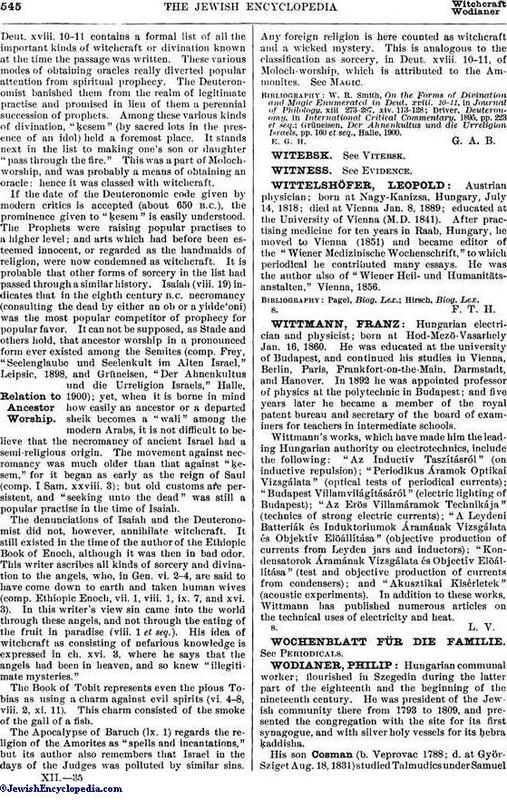 They appeared in 1890 in two volumes entitled "Sefer Naḥalat Yehoshua', Liber Hereditatis Josuæ, Commentationes in Plerosque Talmudi Babylonii Tractatus Additis Commentationibus in Pentateuchum," and consisted of Talmudic novellæ and of explanations of passages in the Torah. Wodianer's son Samuel, who, after the death of his father, kept a large warehouse in Szegedin for tobacco, wool, and corn, was president of the community from 1812 to 1821. Later he settled in Pesth, where he and his children were baptized. 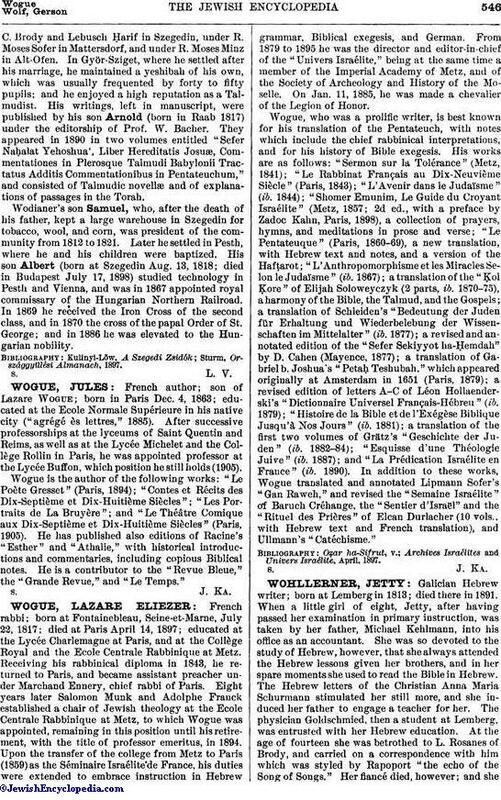 His son Albert (born at Szegedin Aug. 13, 1818; died in Budapest July 17, 1898) studied technology in Pesth and Vienna, and was in 1867 appointed royal commissary of the Hungarian Northern Railroad. In 1869 he received the Iron Cross of the second class, and in 1870 the cross of the papal Order of St. George; and in 1886 he was elevated to the Hungarian nobility.